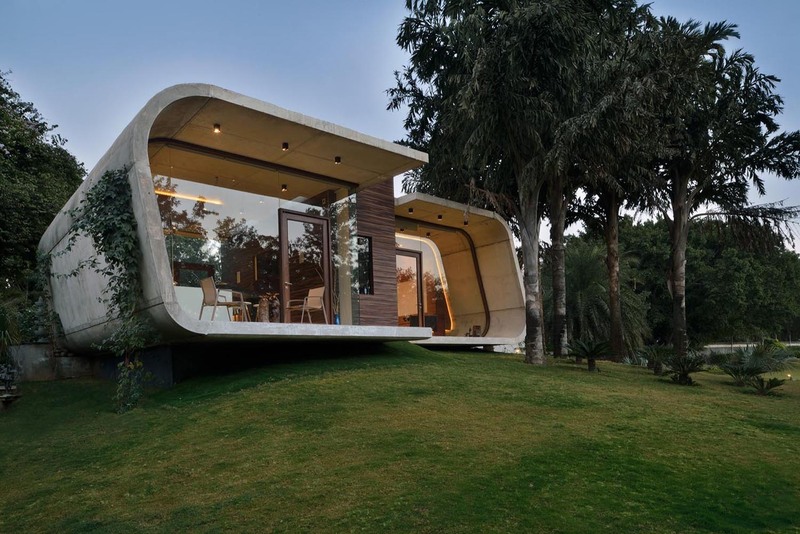 Set on an expansive and lush land parcel with large mature trees, this modern custom home in New Delhi, India was built amidst the trees to preserve its natural surroundings. 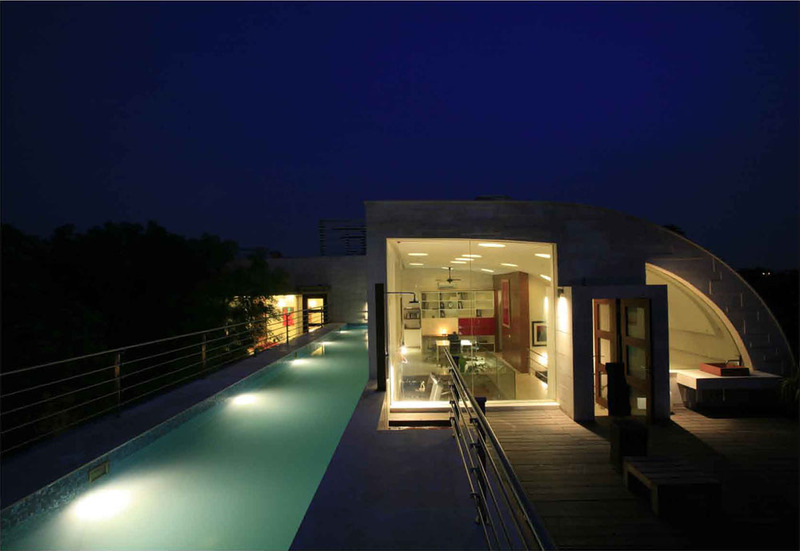 This modern family residence in New Delhi, India is designed for three generations of a family. Architecture and design firm Morphogenesis created an energy efficient home that allows air movement and light to flow throughout the house. The lap pool helps with heat absorption on the top terraces. The skylights above the interior garden creates a green sanctuary within the house. Interior spaces are divided into three categories — private domain such as bedrooms and breakfast room, inter-generational spaces such as the kitchen, dinning areas and family room, and public domain where visitors are invited to participate in cultural activities.